Prior to venturing into the realm of ice climbing, the only thing I knew about Ouray, Colorado, was that it was the setting for Anne Rand’s book Atlas Shrugged. 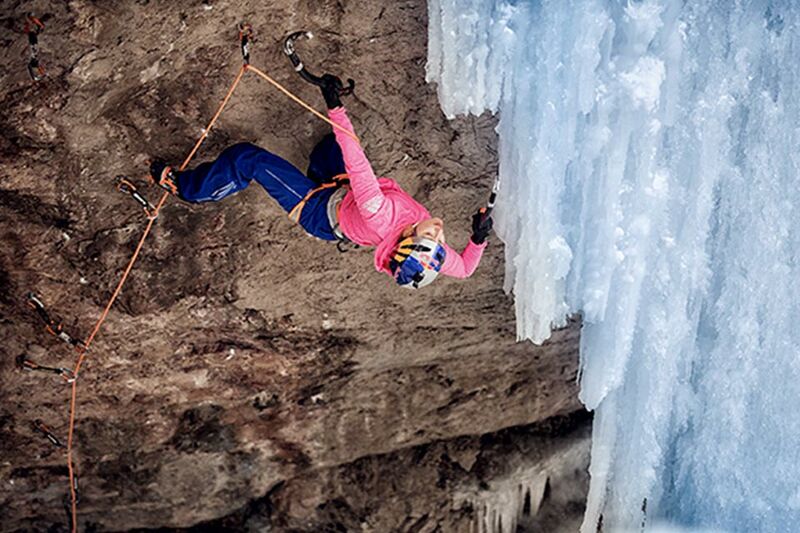 Apart from that, the small Victorian mountain town may be most known to climbers for the annual Ouray Ice Festival. This year marked the 20th anniversary. Ouray is hemmed by mountains with charming old buildings and restaurants that date back its mining days. When the festival is not in session, Ouray is a quiet town. 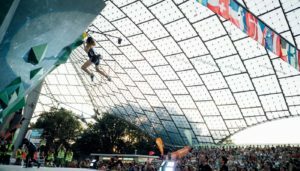 This year, I competed in the International Elite Mixed Climbing Competition. Granted, I’m not exactly the typical, seasoned mixed-climbing veteran to be competing. I actually began learning just over a week ago. 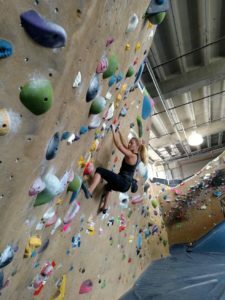 I was intrigued to learn how to ice and mixed climb because it was a whole new, completely unfamiliar dimension to climbing. Diversification in a sport is an important part of progression. In order to keep a healthy routine, maximize psyche, and remain non-injured, it is really important to have rest periods, also known as, an off-season. I was interested to learn how to ice and mixed climb for a few reasons. First of all, ice/mixed climbing are new dimensions to the sport that I am completely unfamiliar with. I think that differentiation in a sport is healthy and a great way to break through plateaus. Also, it’s hard to expand my comfort zone without removing myself from what I am familiar with and having new experiences outside of this known. Ice climbing was a mental challenge. I have notoriously terrible circulation in my extremities, and I also get cold really easily, and I would opt for hot climbing conditions over cold the majority of times. I wanted to challenge myself to adapt to a new environment and to learn how to handle the cold better. Also, it just looked really fun! The idea of climbing with ice tools was pretty intimidating. Mainly, I feared the pointed axe coming back to splice me in the face. Thankfully, this hasn’t happened yet. I was also concerned about the cold. I do not particularly like the cold. In general, I am the sport climber that is perfectly fine with summer temperatures because I have dry skin (my hands don’t get sweaty), and I feel cold below 50 degrees Fahrenheit. Even though my family is from Canada. I opted for rock climbing instead of the family’s typical snow and skate sports. Though, what I have learned is that if I dress appropriately for the cold and establish a good layering system then the cold isn’t so bad. The most important pieces of apparel for ice climbing are: a warm base layer, a sweater and/or a fleece, and an insulated jacket. Also, while ice climbing, I am moving and being active, so before I know it I am actually shedding some of those layers. Learning to ice and mixed climb has opened my eyes to such a wonderful new frontier. 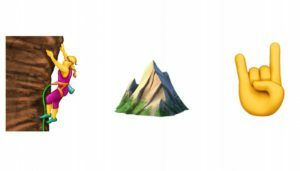 I have also experienced a new side of the climbing community, and I have had exposure to such beautiful natural formations, like a steep, three dimensional, 80-meter ice waterfall. Learning to use tools on rock and ice enables me to have a whole new ability to climb what before would have been seemingly impossible. For mixed climbing, I can place the edges of the tools on miniscule little crevices and holes in the rock and position my body so that the tool stays firmly while I adjust my full body weight from that point. Parts of the rock that I could never have imagined holding on to with my bare hands, I can now climb using my tools. Additionally, after learning how to place my tools into ice, I was ascending Bridal Veil Falls, the iconic 365-foot waterfall overlooking Telluride, Colorado, where I was training. Climbing this frozen water formation was an experience unlike any I had ever had before. The climb is up a 3-D, slightly overhanging ice structure. It is a natural wonder. Ice to me is beautiful. There is this delicate yet simultaneously ominous characteristic to ice. Ice formations are such natural pieces of art. 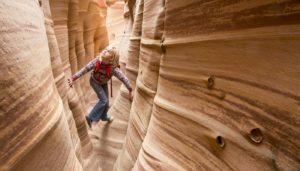 And the feeling of climbing this is incredibly exposing and liberating. While climbing, I can see the different protrusions in the ice and feel the smooth, frozen texture. Climbing frozen water is terrifying yet thrilling. 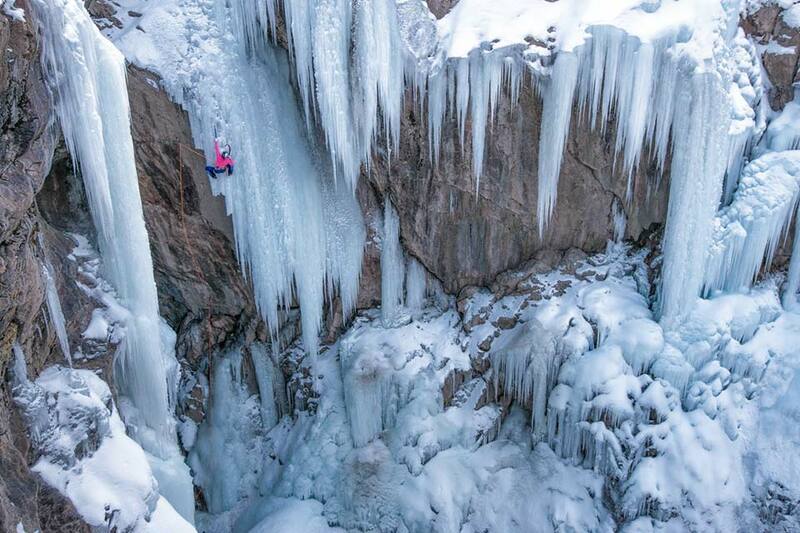 competed in the Ouray Ice Festival Competition in the Elite Women’s Category. My expectation was to have fun and to do my personal best. I felt like I achieved both of these expectations and therefore, I was happy with how my first competition went. Each competitor had twelve minutes of allotted time to climb. While difficulty is the deciding factor for the competition placements – who gets highest on the wall – time is used as a tiebreaker. Each year, the competition route begins on an M8 called “Mighty Aphrodite.” This being my first year competing, I had never been on the route before, so I needed to spend extra time reading the route and figuring out my tool placements. I climbed slowly, trying to meticulously place my tools into the right crevices. Though, I was a bit too slow, because as I was approaching the transition from rock onto the ice and the artificial structure, I was called to stop climbing. My time was up! I look forward to expanding my ice and mixed climbing experience and to taking these skills that I now have to both the mountains and to more competitions during my career as a climber!